Mig33, a mobile social networking platform headquartered in Singapore, has today announced its acquisition of Alivenotdead.com, a site which connects artists with fans. Transaction details were not disclosed. Alivenotdead was founded in 2007 by a group of Hong Kong artists, including film star Daniel Wu, along with some of the co-founders of Rotten Tomatoes, a popular movie review site. Other prominent artists on the network include Vanness Wu, Jet Li, Nicholas Tse, and Karen Mok. Both services give artists like filmmakers, actors, and musicians a wider reach and opportunities to engage and nurture their fan base. But their approach is different: while Alivenotdead is a web-based portal with content and forums, mig33 is built in the mode of a mobile social network with gaming and private chat features. Also, mig33 recently embarked on a strategy of giving artists and celebrities verified accounts as a means of drawing users to the service, which means Alivenotdead’s database of 1,800 artists will come in handy to fast-track its growth. 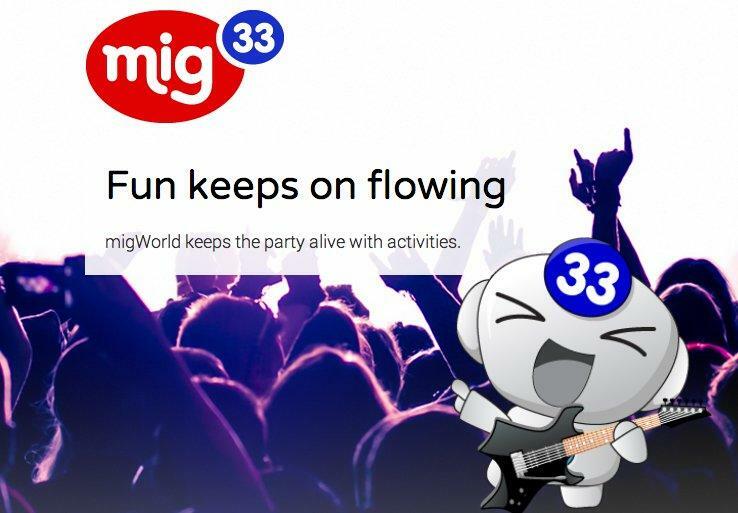 While mig33 only has over a dozen verified accounts at the moment – and they’re managed by the company for now – it hopes to hit a thousand by the end of the year. Raffi Kamalian, the Alivenotdead COO, will stay on board to become its CEO. He says that his site has already experimented with bringing its artist database to mig33 for “chats, contests and other fan interaction activities”. The other co-founders will move on. The past year has been eventful for mig33. While primarily a communication platform for feature phone users, the company pivoted to focus more on smartphones and introduced new features like mini blogs. The service has grown to over three million monthly active users, and is going after emerging markets in Asia, Eastern Europe, Middle East, and Africa. Last October, its mini blog had 180,000 daily active users and saw four million messages sent daily. It is currently on a revenue share arrangement with artists, who get a cut whenever users buy a virtual item or play games. “We think a few hundred artists may take us firmly into profitability. A few thousand makes us a big business,” says Steven Goh, founder and CEO of mig33. The company has also embarked on a reverse takeover of mining firm Latin Gold in an effort to list on the Australian Stock Exchange. The process will most likely complete by May 2014. Once it is successful, the listing will give mig33 capital to make more acquisitions to boost its platform. The post Mig33 acquires Alivenotdead, a site started by Rotten Tomatoes founders appeared first on Tech in Asia.